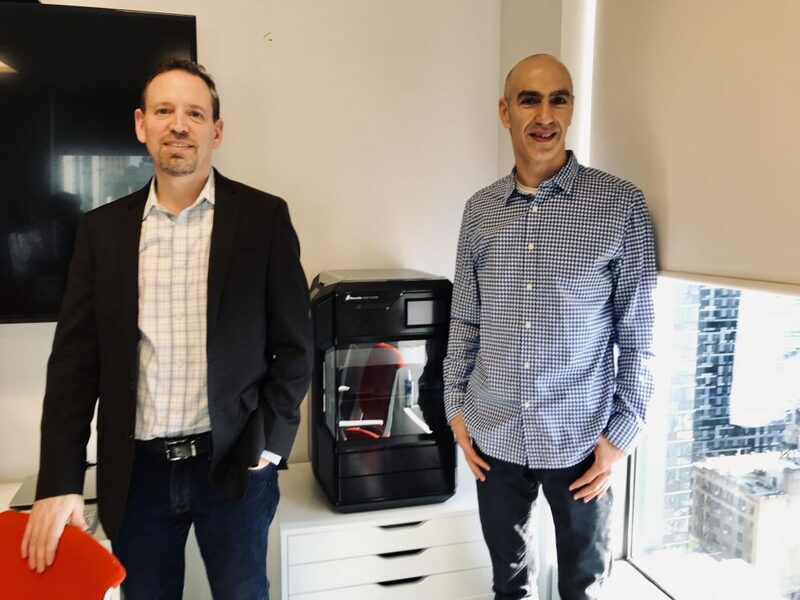 Last week, 3D Printing Industry was invited to MakerBot HQ in Brooklyn, NY, ahead of the public launch to speak with the company’s President and CEO, Nadav Goshen, and Forrest Leighton, VP of Marketing. A strong front in the face of the company’s return with a new product, Goshen explains how, with the Method, MakerBot is looking to “rebuild its core competence” and boost its presence within the engineering sphere. The Method 3D printer is a dual extrusion FDM 3D printer, relying on one nozzle to print soluble supports, and the other to make the object. It has a circulated heat chamber to help with the layer adhesion and overall quality of 3D printed objects. To boost the speed, and reportedly “print up to 2X faster” than other desktop material-extrusion 3D printers, each of the Method’s extruders include heaters with higher processing rates compared to the company’s existing systems. With single extrusion, the Method has a max build volume of 19 L x 19 W x 19.6 H cm / 7.5 x 7.5 x 7.75 in. With dual extrusion, this volume is shrunk to 15.2 L x 19 W x 19.6 H cm / 6.0 x 7.5 x 7.75 in. MakerBot’s operating software for the Method allows the user to 3D print in one of three possible, and automated, modes: Draft, Balanced and Minfill (i.e. hollow.) All objects shown at the press preview day were 3D printed with in Balance mode, providing a good, smooth surface finish. Other key features of the 3D printer include an ultra-rigid metal frame body, for a more stable print, dry-sealed material bays, and readable RFID chips on the spools, to feedback real-time usage and moisture data, read and delivered in real-time by the 3D printer through its integrated touch screen. The 5″ user interface also includes animations to aid the user in performing operations and the 3D printer’s general setup. In the presentation of the machine, user friendliness was one of the key takeaways from the press event last week. From the demonstration, the Method certainly looks like it would operate with a smoothness on-par with a common paper printer. And this, in many ways, is what MakerBot is trying to achieve. 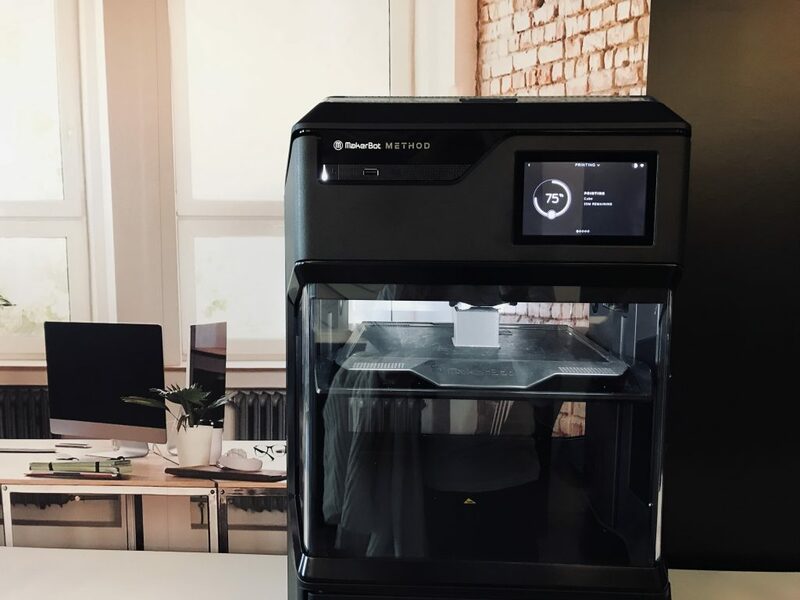 The Method 3D printer is now available for preorder directly through MakerBot, with shipping to begin in the first quarter of 2019. Presently, the company is also looking for on-board partners to offer the system in different companies around the world. 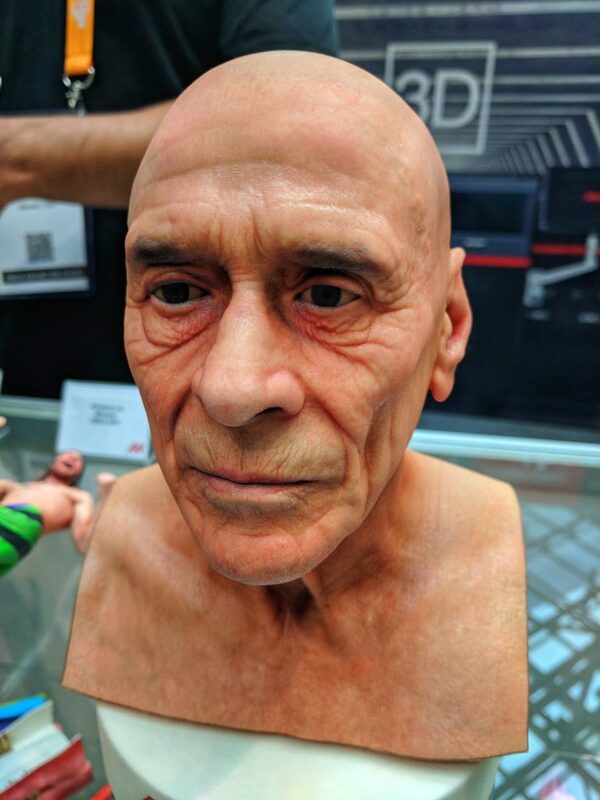 At present, though the Method is an open materials platform, PLA and PVA are the only official materials released by MakerBot for use with the machine. In the near future, the company plans to expand this material availability, along with further operation modes and extruders. 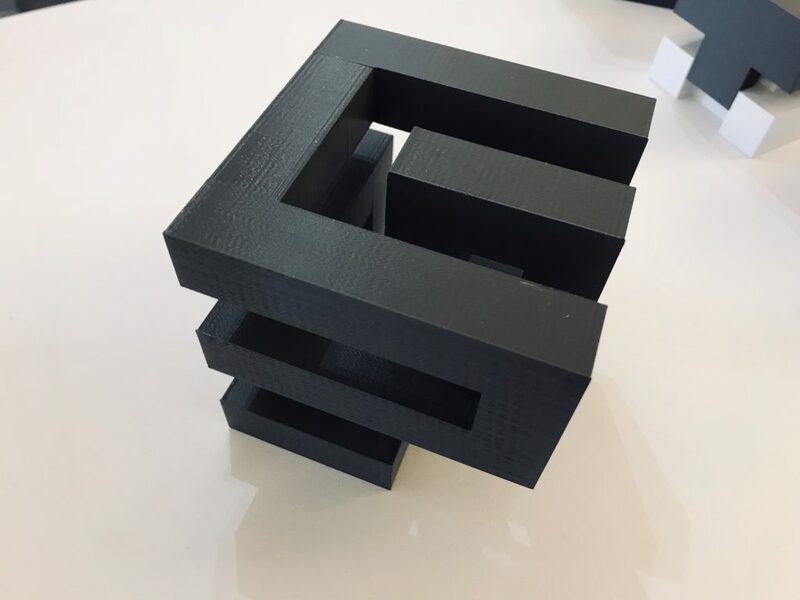 Nominate your 3D printer of the year in the 2019 3D Printing Industry awards now. To stay up-to-date with all the latest news and 3D printer releases subscribe to the 3D Printing Industry newsletter, follow us on Twitter and like us on Facebook. Seeking new opportunities in this rapidly growing industry? Sign up to 3D Printing Jobs. TORONTO, Dec. 11, 2018 (GLOBE NEWSWIRE) -- Jeff Ekstein, a third-generation owner of 65-year-old Willow Printing Group, has been named the Printing Industries of America 2018 Lewis Memorial Lifetime Achievement Award recipient. PIA is the world’s largest graphic arts trade association, representing an industry with approximately one million employees and serving the interests of thousands of member companies. Established in 1950, the Lewis Award recognizes business leaders who have made major, long-term contributions to the graphic arts industry and have been a significant force in shaping the business of printed communications. The award was presented on November 9 at the Ben Franklin Honor Society Award Dinner during the Fall Administrative Meeting of Printing Industries of America in Grapevine, Texas. The award was presented to Ekstein by Canadian-born Michael Makin, who has been President and CEO of the Printing Industries of America since August 1, 2002. Ekstein has served PIA for more than a decade, initially as a director, advancing to the officers’ ranks in 2011, and ultimately to Chairman of the Board in 2013. Additionally, he has served on countless committees and task forces. He was the Education Committee Chairman from 2009 to 2011, and is currently a PIA Finance Committee member and serves as a judge for the Premier Print Awards. In 2016, Ekstein was named PrintAction’s Community Leader of the Year as part of the annual Canadian Printing Awards. Prior to that, he was named one of PrintAction’s Top 20 Most Influential Printers in 2010. In addition to his involvement in PIA, he has served as Co-Chair of CPISC (Canadian Printing Industries Sector Council) as well as Past Chair, Government Affairs Committee Chair, and long-time Director of CPIA (Canadian Printing Industries Association). In 2007, Ekstein earned the CPIA Distinguished Service Award for excellence, achievement and dedication to the printing industry. He is the current Chair of the Canadian Printing Industries Scholarship Trust Fund (CPISTF). Willow Printing Group is a graphic communications company providing commercial and digital print solutions, database management, mailing services and fulfillment. Located just north of Toronto in Vaughan Ontario, Willow specializes in the home building, conference, tradeshow, event and not-for-profit sectors. To learn more about Willow please visit https://willowprint.com/. Sayville, N.Y. – The Sustainable Green Printing Partnership (SGP), the leading authority in sustainable printing certifications for print manufacturers held its 2018 SGP Community Day in Cincinnati, November 14 setting a clear direction for a sustainable future. "Working towards a sustainable future is a clear choice for the printing industry - you're either on the 'train' that's moving forward, or you're left behind. Sustainability is not a fad. It's here to stay. It's addressing your people, your processes and your products. SGP certification fosters a continuous improvement journey toward a sustainable future and provides that needed validation," said Jodi Sawyer, chair of SGP board and market development manager at FLEXcon. "SGP certification has gone from an achievement to a business-critical certification." Certification is a priority. Validation through SGP certification provides commitment to sustainability - the proof that brands and print buyers require. In her keynote, "Building a Community: The Heart and Engine of Sustainability", Ryan Mooney-Bullock, Director of Cincinnati's Green Umbrella Regional Sustainability Alliance, spoke about building a community and included group interaction on finding commonality to develop goals. "Green Umbrella facilitates collaboration among more than 200 area non-profits, businesses, educational institutions and governmental entities focused on the environmental aspects of sustainability. With our members, we aim to meet the environmental, social, and economic needs of today while preserving the ability of future generations to do the same," said Mooney-Bullock. "The success we have of building a community with 100s of organizations and individuals is based on the Collective Impact Model-- a common agenda, shared measurement, collective responsibility, constant communication and a professional staff." Paul Glynn, Manager of Materials Digital Technologies R&D for Designtex and incoming SGP Chair, led several discussions including a case study of the SGP Sustainability Tracker and the recycling efforts at Designtex. "The SGP Impact Tracker provided insights into our operations that have made small adjustments to the business and our operations yield incremental sustainable advancement and overall better business operations," said Glynn. "The Tracker is delivering a way to measure the sustainability impact of the entire supply chain." In addition to presenting the benefits of using the SGP Impact Tracker, Paul shared how SGP Community Day 2017 in Oregon inspired the Portland, Maine, based Designtex to reexamine its recycling efforts. "Not only did The Renewal Workshop presentation inspire us as a textile manufacturer, it spurred Designtex to look at recycling in a different perspective," commented Glynn. "We went back and looked at everything not being recycled and started working on every possible way to incorporate all the 3 Rs into our waste sorting program and to avoid the landfill option wherever possible. Some early success includes having 100% recycling of all our packaging materials." The Plastics and Recycling Panel was a lively discussion with David McLain, Market Development Manager, Printpack and Ashley Hood-Morley, Sustainability Director, Plastics Industry Association. "The potential of plastic recycling is all about building the 4 Rs-Reduce, Reuse, Recycle and Reclaim into your company's plastic strategy," said Hood-Morley. The panelists encouraged the audience to explore new pathways to sustainability and drive conversations with recycling and waste management companies in addition to make behavioral changes in organizations. "The panelists confirmed we are progressing in the right direction. SGP works toward a sustainable future and this means working with local companies and municipal services to drive recycling," commented Sawyer. "The actual amount of recyclable materials being recycled is very low. We must work together to make sure each of us recycles to the fullest extent possible." Before SGP Community Day, new SGP Resource Partner Cincinnati State College hosted the SGP Executive Committee for an engaging discussion with students studying graphic arts, print and production. The school joins Appalachian State University and Rochester Institute of Technology along with associations and professional organizations in the SGP Resource Partner program. "Cincinnati State has been active with Flexographic Technical Association (FTA) for many years. Its graphics program provides relevant education and training for the ever-changing printing industry," said Doreen Monteleone, SGP board member and FTA representative. "A key part of the program is sustainability. Students have a good understanding of sustainability along with the talent, drive, dedication and opportunity to succeed. 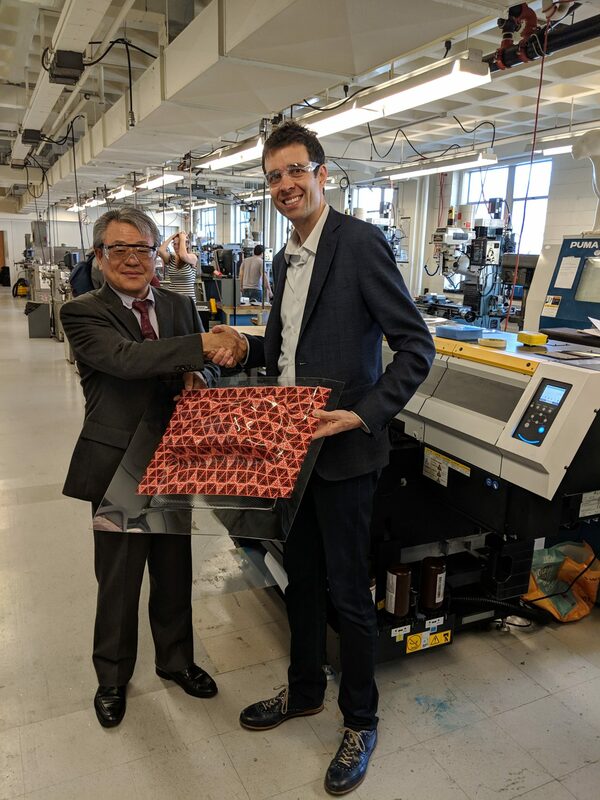 They are making the connection with the importance of sustainable printing practices. SGP looks forward to collaborating with Cincinnati State on future sustainability projects and initiatives." The day closed with an intimate dinner celebrating the 10th anniversary of SGP. "Looking toward the future, the last 10 years of SGP have brought us to a point in a time for expansion and leadership of SGP in the printing industry and the retail supply chain," said Marci Kinter, SGP board member and Specialty Graphic Imaging Association (SGIA) representative. "SGP has led the print industry on the sustainability journey and will continue to drive a more sustainable future," added Kinter. "We will continue to work on key initiatives to keep SGP relevant-the integration of TLMI L.I.F.E. certified printers, providing program enhancements through the SGP Impact Tracker, establishing the SGP Foundation as a leading resource for sustainability in the printing industry and its supply chains, and exploring feasibility of SGP certification for suppliers and more services to support our SGP certified printers." 5G, the future of mobile communications, ultra-fast video streaming and autonomous car radar, is seeking precision 3D printing methods for its circuitry. In a University of Birmingham project set for completion at the end of 2018, two contenders from across the industry have been singled out as potential industrial partners for circuit production. Now, with a further £743.4 thousand from the British Engineering and Physical Sciences Research Council (EPSRC), the researchers have entered into a further threes years of investigation, in partnership with leading industry stakeholders, including BAE Systems, UK manufacturer Elite Antennas Ltd. and Samsung. For the past three years Professor Michael Lancaster has been the principal investigator of a project which sought to identify micromachining techniques for making circuitry suitable for for use in terahertz (“tremendously high frequency”) communications. Facilitated by over £1 million in funding from the EPSRC, the first stage of this project is set for completion in December 2018. In the course of this project, Professor Lancaster and colleagues at the University of Birmingham have published 10 papers detailing different approaches for circuit microfabrication. With authors working at Rutherford Appleton Laborator (RAL) and Jaguar Land Rover, capable of implementing the technology in earth observations and car radar. Reportedly, researchers have narrowed down their options to two companies: 3D MicroPrint and SWISSto12. The product of a co-operation between leading 3D printer manufacturer EOS and laser micromachining company 3D-Micromac, 3D MicroPrint was founded in Chemnitz, Germany, in 2013. The company specializes in the development and sale of Micro Laser Sintering technology through machines and services. Like its big brother, laser sintering, Micro Laser Sintering is a metal 3D printing method that relies on a powdered feedstock. To achieve finer quality prints, the technique simply relies on a smaller laser spot size, and a finer powder feed. SWISSto12, the second company identified by Professor Lancaster. is based in Ecublens, Switzerland. Its patented technology, based in 3D printing, is designed especially for radio frequency applications combines both metal and polymer feedstocks. The process is ISO certified, and has earned the support of the European Space Agency (ESA) and the EU’s Horizon 2020 project. One of the next steps for Professor Lancaster and colleagues is a further ESPRC funded project titled MILLIBAN. 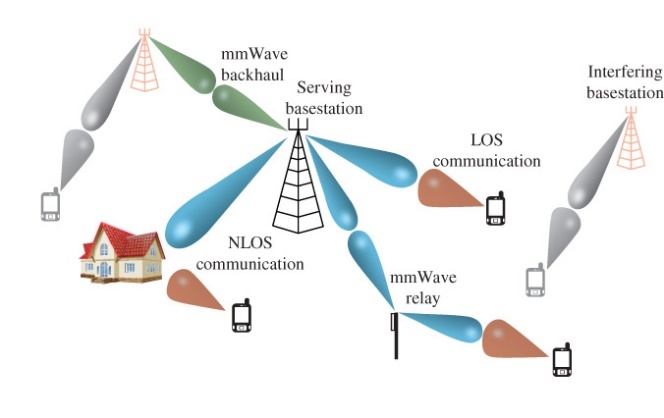 MILLIBAN (Not to be confused with former British Labour party leader Ed Miliband) focuses on the development of devices that exploit bandwidths between 30 Ghz and 300 Ghz, known as the extremely high frequency (EHF) range, a step ahead of terahertz. Due to nature of this bandwidth, though fast, these waves only have a range of 1 km, making them challenging for the transmission of data. As such, EHF is presently underexploited by the telecommunications industry, and a great deal of effort is being applied to figure out how to make use of the waves, through things such as MILLIBAN. The University of Birmingham’s MILLIBAN project is led by Dr. Alexandros Feresidis, with Professor Lancaster and Professor Peter Gardner, listed as co-investigators. The project has been running since April 2017, and will receive funding for the next two years before it must be reviewed. 2019 3D Printing Industry Awards nominations are now open. Make your selections here. 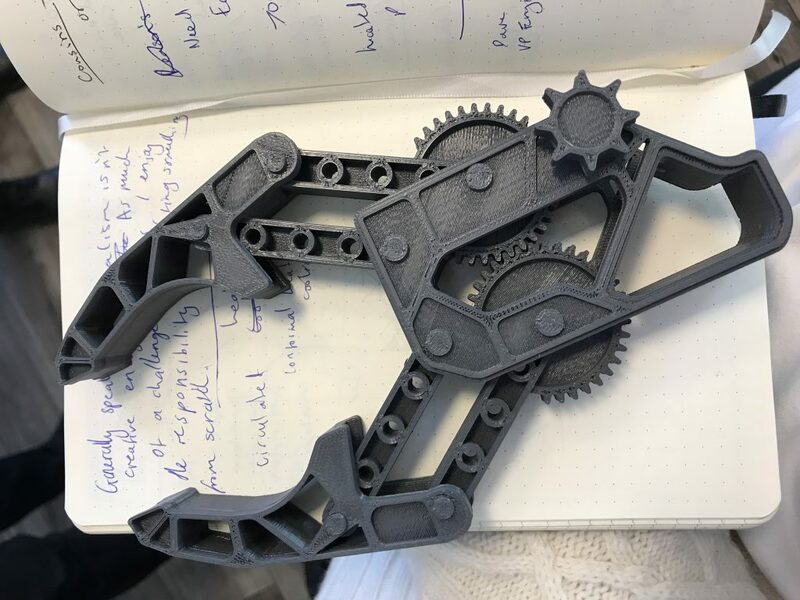 For progress updates on this project and more from 3D Printing Industry, sign up to our newsletter, follow us on Twitter and like us on Facebook. Seeking your next opportunity? 3D Printing Jobs is looking for talented candidates like you.